While they may have comfortable chairs, interesting magazines, and beautiful artwork on the walls, a doctor's waiting room is no place for me on my day off. I like to get in as close to my appointment time as possible, be seen, and then be on my way to my next to-do item. I have dropped doctors that made me wait too long, especially with sick kids. (Internal Medicine in NY) I have been a patient of this doctor for a few years and since the move to the new location- patient care has not been the same. The staff, which is new, is neither friendly, helpful or empathic. The wait time just to check averages at least 10-20 minutes and the wait then to actually see the doctor is an average of 30-45 minutes. I have no issue with a wait to see my pcp but anything over an hour (my last wait was 65 minutes)shows a lack of respect for the patient. Basically, the wait is ridiculous. The office staff is not only rude and puts you on hold for ridiculous amounts of time, they also do not have the courtesy to call patients and let them know when Dr. is running late (which he usually is! He often saunters in at least an hr and a 1/2 late!). How long will you wait before you say something to the office staff or physician? Sometimes physicians don't realize how long their patients have been waiting. The patient comment above has a great idea about calling patients when the doctor is running 90 minutes behind. But, would you keep the appointment if you got a call and was told the physician was running behind? 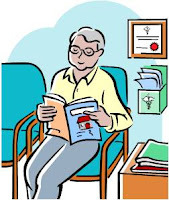 I know the feeling when you are in a doctor's office and it feels like you've been sitting there for an eternity. I think it's better to have hospice care because they are more focused on you alone.